Could Brock Lesnar be headed to the blue brand? The latest episode of RAW marked the beginning of WWE's annual tradition of the Superstar Shake-up. RAW had an amazing week, drafting some of the greatest names in professional wrestling today, including the likes of The Phenomenal One AJ Styles, The Usos, The Ultimate Underdog Rey Mysterio, and Andrade. After the latest draft updates, it is no secret that SmackDown looks a bit fragile after losing some of their top guys. Hence, to balance things out, WWE needs to draft some top names to SmackDown as well. However, Vince McMahon announced that he would personally draft the biggest acquisition of the blue brand, on the upcoming episode of SmackDown Live. While many fans are speculating that the Big Dog Roman Reigns could be Vince's draft pick, I have reason to believe that it could be the Beast Incarnate himself - Brock Lesnar. 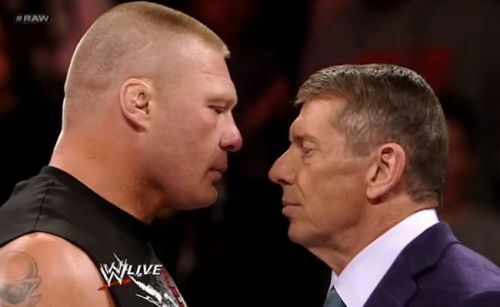 In this thread, we will take a look at a few reasons why Brock Lesnar could be Vince McMahon's biggest SmackDown Live acquisition. #3. Brock Lesnar fits the description more accurately. 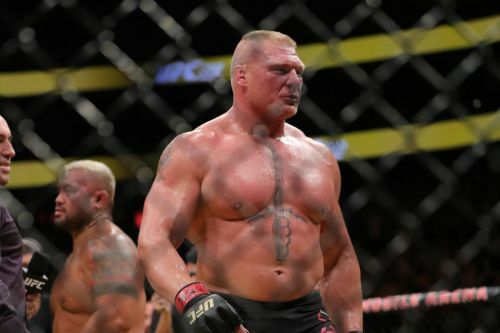 Being a crossover athlete has worked well for Brock Lesnar. While the WWE Universe despise Brock Lesnar for being a part-timer, and not caring about the fans, the fact is that Lesnar is still WWE's biggest star under contract is undisputed. Even though many Wrestling magazines have speculated that Lesnar will not renew his contract after WrestleMania 35, there is evidence to support the idea that Lesnar is far from done in the WWE. As of now, Lesnar has signed a short term deal with WWE prior to WrestleMania 35. This new contract will not keep him from making his rumored return to UFC. It is clear that Vince McMahon has no interest in letting go of his biggest asset, and mainstream attraction anytime soon.